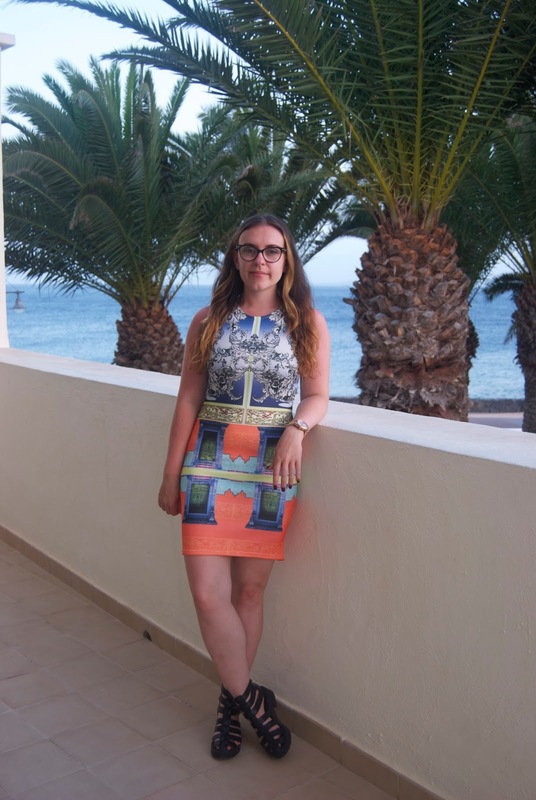 I thought I’d share with you a few more of the outfits I wore on holiday. The first dress was a gift that I received a while ago but I thought it was always too short to wear in the UK. The dress kind of reminded me of a Mary Katrantzou style print. 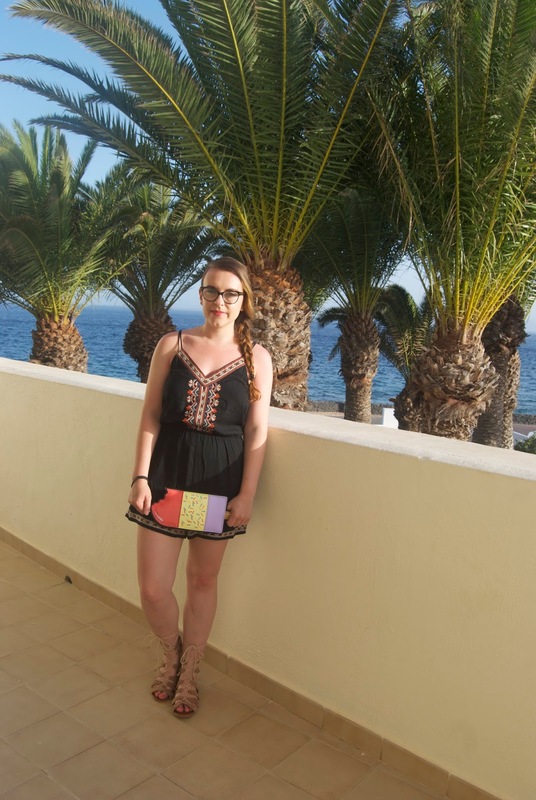 Being on holiday seemed the perfect excuse to wear it, I teamed it with a pair of flat form sandals from TK Maxx. I always love having a little look in TK Maxx for footwear before I go on holiday, they seem to have the perfect sandals. 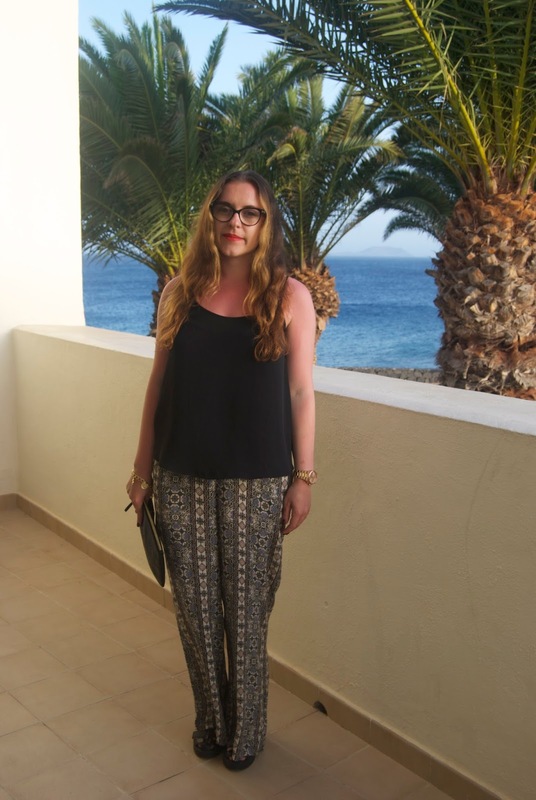 Next up I had to pick up this pair of printed trousers from New Look, they had some amazing pieces in their summer collection. These were really easy to wear and comfy too. As the print is quite out there you only need to team them up with a plain top. Speaking of New Look, I had to grab this playsuit from New Look too. It has a really pretty embroidered front and kept me cool on an evening. I had to bring along my lolly clutch that New Look gifted me too, what a perfect piece to carry around when the sun is beating down.